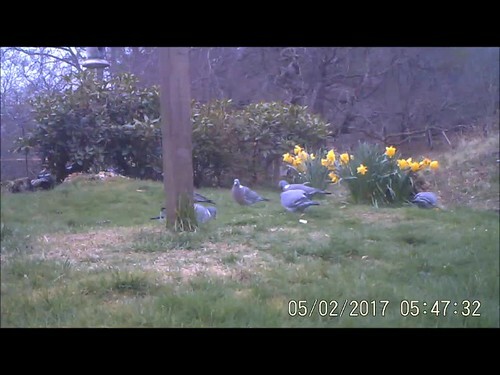 I too have bossy woodpigeons trying to get to the ground feeder. The other day I had about six turn up and it was obvious that there were two dominant ones who kept the others at bay. However, their bossiness soon came to an end when my resident pair of Mallards turned up for their daily feed and rest. They charged in scattering the pigeons who did not return until the Mallards went of to their roost at the end of the day. By that time the Mallards had eaten most of the food.